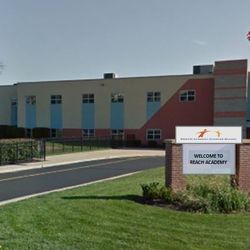 REACH Academy Charter School is a publicly funded school that is open to all students in the Western New York area. REACH is currently accepting applications for students entering grades K-3, and will add one grade level each school year until the school is serving students in grades K-5. See below for the school's initial 2016 Charter Document. 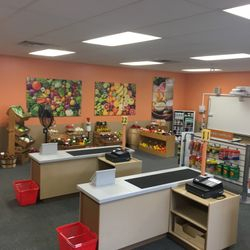 WELCOME TO OUR FULL SERVICE CAFETERIA. 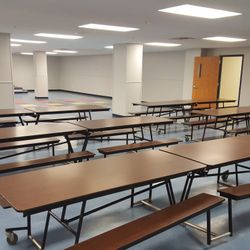 SCHOLARS WILL RECEIVE BREAKFAST, LUNCH and DINNER. 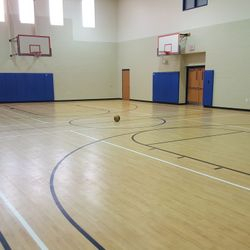 EVERY STUDENT WILL RECEIVE DAILY PHYSICAL EDUCATION IN OUR FRESHLY PAINTED & POLISHED ATHLETIC CENTER. ART STUDIO - ARTISTS WILL CREATE ART USING PROBLEM SOLVING SKILLS, CREATIVITY AND THEIR IMAGINATIONS. 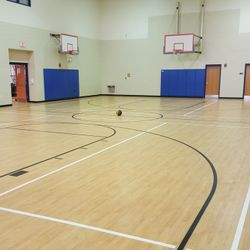 THE ART PROGRAM ALLOWS ARTISTS TO EXPLORE A VARIETY OF MEDIA, TECHNIQUES AND CULTURES. WE DID SAY REACH ACADEMY IS A SCHOOL FOCUSED ON LITERACY! 5000 BOOKS AND GROWING! CLASSROOM LIBRARIES - EACH CLASSROOM HAS A LEVELED BOOK LIBRARY CONSISTING OF APPROXIMATELY 800 GRADE LEVEL APPROPRIATE BOOKS. OUR SCHOLARS READ!!! 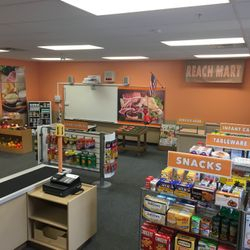 SUPERMARKET ROOM - LITERACY RICH ENVIRONMENT DESIGNED TO HELP STUDENT SCHOLARS DEVELOP A LOVE OF READING. 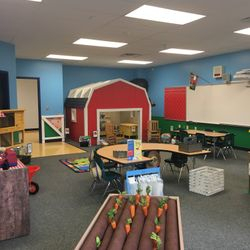 FARM ROOM - PROVIDE STUDENTS WITH OPPORTUNITIES AND EXPERIENCES TO SHOW STUDENTS WHAT LIFE ON THE FARM LOOKS AND FEELS LIKE. 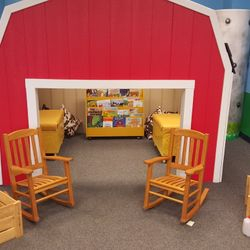 FARM ROOM- THE BARN! GRAB A BOOK AND START READING! CLASSROOM LIBRARIES ARE FOUND IN EVERY ROOM AND THE BOOKS CHANGE BASED UPON THE DAY OR LESSON. 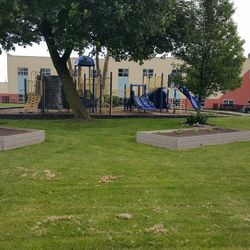 RACS VEGETABLE GARDEN- OUR STUDENTS WILL BE ABLE TO HARVEST- Tomatoes, carrots, onions, green and yellow beans, peppers, white potatoes and blue potatoes. 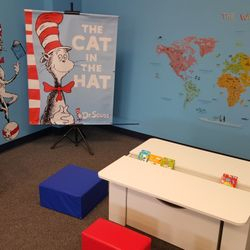 DR. SEUSS ROOM - AN AUTHENTIC LEARNING ENVIRONMENT DESIGNED TO HELP STUDENTS MAKE REAL WORLD CONNECTIONS TO THE CONTENT THAT THEY ARE LEARNING ABOUT. DR. SEUSS ROOM - THE CROOKED HOUSE- SCHOLARS WILL BE ABLE TO READ INDEPENDENTLY IN THIS COZY ENVIRONMENT. 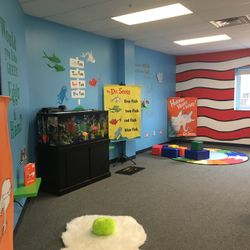 DR. SEUSS ROOM- ONE FISH - TWO FISH - RED FISH - BLUE FISH, LET'S LEARN ABOUT ALL OF THE VOCABULARY AND SCIENCE THAT IS INVOLVED IN AN AQUATIC ENVIRONMENT. 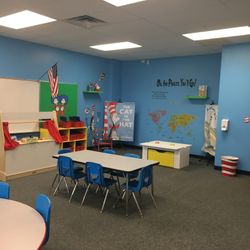 DR. SEUSS ROOM - LITERACY RICH ENVIRONMENT DESIGNED TO HELP STUDENT SCHOLARS DEVELOP A LOVE OF READING. 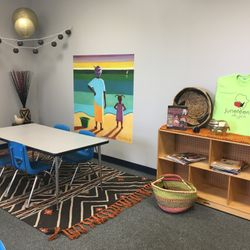 MULTICULTURAL ROOM- STUDENT SCHOLARS WILL LEARN ABOUT PEOPLE OF DIFFERENT RACE, ETHNICITY AND CULTURE. 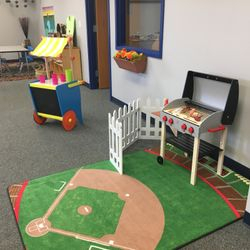 CONSTRUCTION ROOM- STUDENTS WILL BE ABLE TO DEVELOP COMPETENCIES IN ALL CORE AREAS AND BE ABLE TO DEVELOP GROSS AND FINE MOTOR SKILLS IN THE CLASSROOM ENVIRONMENT. 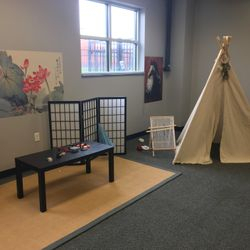 CAMPING ROOM - SCHOLARS WILL EXPERIENCE LEARNING HOW TO READ, WRITE AND COMMUNICATE IN THIS AUTHENTIC CAMP SITE. WHAT OTHER CLASSROOM DO YOU LEARN HOW TO DEVELOP AND RECITE CAMP FIRE STORIES?!? CAMPING ROOM - EVEN IN THIS RUSTIC ENVIRONMENT, CAMPERS.. I MEAN "SCHOLARS" GET TO EXPERIENCE 21st CENTURY TECHNOLOGY THAT IS INCORPORATED IN THE CLASSROOM AND INFUSED INTO THE CURRICULUM. 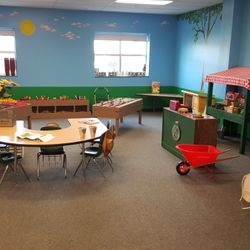 NURSERY RHYMES ROOM - ALLOWS SCHOLARS THE OPPORTUNITY TO USE SHORT REPETITIVE PREDICTABLE RHYMES TO SUPPORT EARLY LITERACY. IT'S THE PERFECT THEME FOR OUR SCHOLARS AS THEY ARE EMERGING AS READERS. 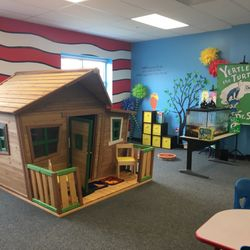 FAIRY TALES ROOM - ALLOWS SCHOLARS TO EXPLORE A NEW GENRE DEEPLY BY COMPARING THE DIFFERENT DETAILS AMONG DIFFERENT VERSIONS OF THE SAME FAIRY TALE. THIS THEME EXAMINES THE CHARACTERISTICS OF "GOOD" VS. "EVIL" AND THE DEVELOPMENT OF CHARACTERS IN FANTASY.